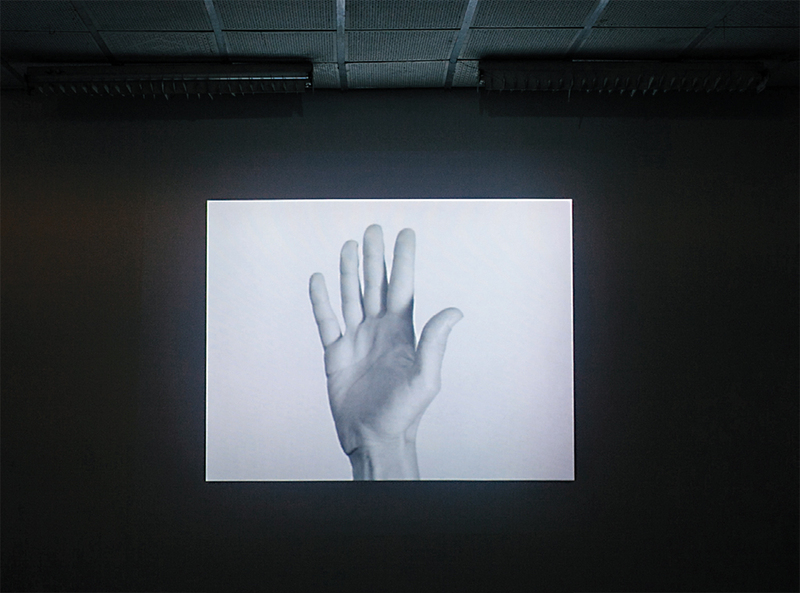 Yvonne Rainer, Hand Movie, 1966, 8-mm film transferred to video, black-and-white, silent, 8 minutes. From the 4th Ural Industrial Biennial of Contemporary Art. One of the more resilient myths of cinema history holds that at a screening of Auguste and Louis Lumière’s 1896 film L’arrivée d’un train en gare de La Ciotat (Arrival of a Train at La Ciotat Station), the fifty-second reel of a locomotive engine pulling into the station incited a stampede out of the theater by audience members unfamiliar with moving images. This legend provided the point of departure for curator João Ribas’s exhibition “New Literacy,” the main project of the Fourth Ural Industrial Biennial of Contemporary Art. In surveying the semiotic stumbles and surges enabled by new forms of communication, Ribas suggested that the most salient advances might be the ones designed to escape notice altogether.